The objective of this project is to monitor the flood situation & send alert in case of danger in the form of text message. The main objective of this project is to detect rising water level in a river at a reasonable distance from the rail track/ roadways and intimate that to the respective authorities through SMS, to take appropriate action. Floods lead to a vast loss of life and property in many countries. But in developing countries the lack of proper technology leads to more loss of life and property due to flood. This is due to lack of flood detection systems. 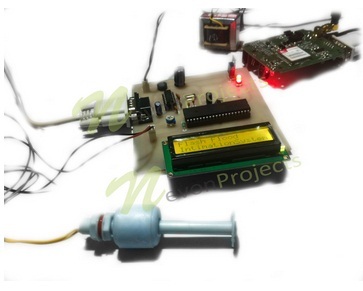 Our project solves problem by implementing an early flood detection mechanism. 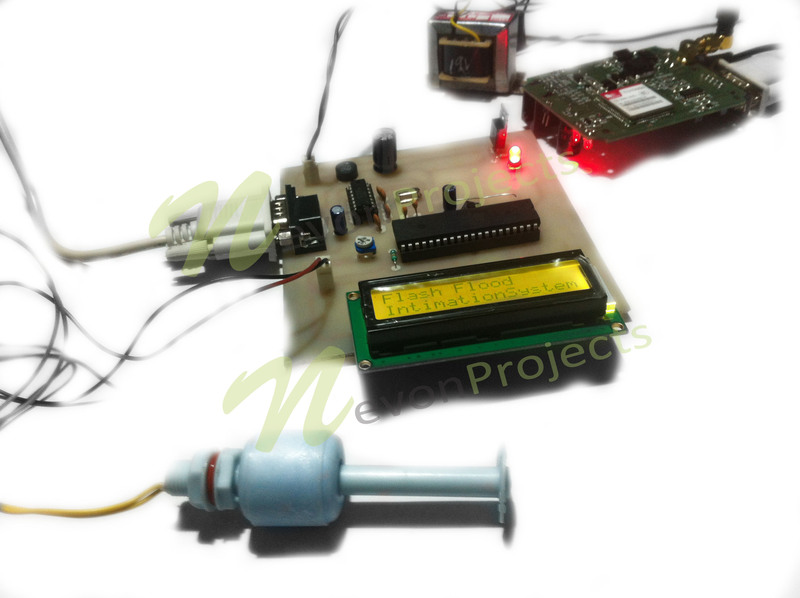 In this project we will connect electrodes at different levels. 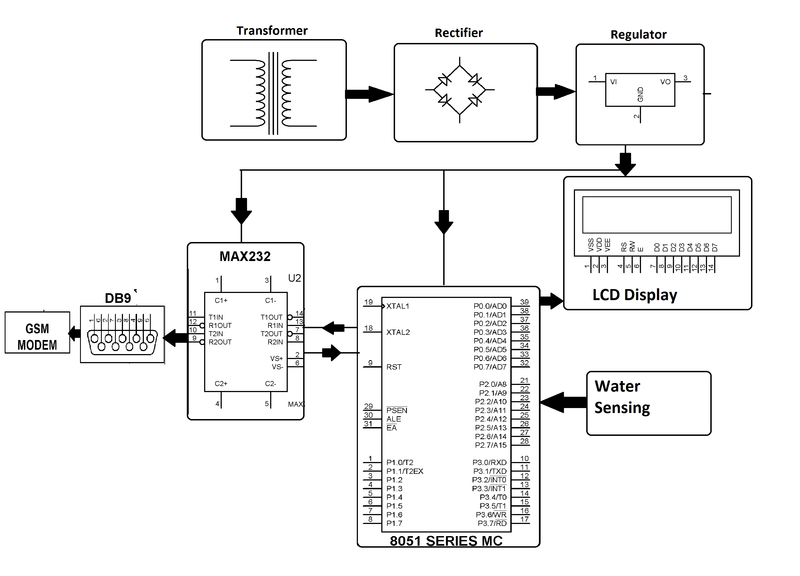 Electrodes will be interfaced with µC through comparator. GSM modem containing a SIM card will be connected to µC. At the other end mobile will be used. Mobile number of user will be stored in µC coding. Whenever water level reaches to electrodes. SMS will be sent to mobile.